With nearly 1600 biology majors, the Department of Biology is home to the largest undergraduate major on campus. 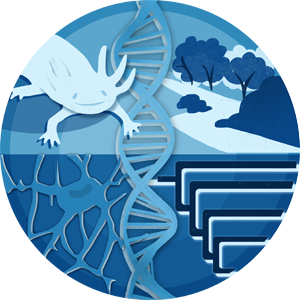 Biology’s updated curriculum provides 21st century instruction that focuses lower division students’ training in bioinformatics, evolutionary thought and systems approaches to biology. Upper division courses incorporate a broad foundation of core courses with opportunities for specialization within many biological subfields. The department boasts a unique urban field station called the Ecological Research Facility that lends self to experimental studies related to bird mating systems, bird song, circadian clocks, predator and prey relations and plant ecology. The department also houses the international Ambystoma stock center, which is a self-sustaining breeding colony of the axolotl – a large salamander native to New Mexico. At UK, a premium is placed on giving advanced students research experience. While the majority of biology majors go on to pursue a graduate education, the new biology curriculum prepares students for a wide array of careers including scientific research, medicine, allied health, forest law enforcement, pharmaceutical sales and much more. Director of Undergraduate Studies - Dr. Jennifer Osterhage (jennifer.osterhage@uky.edu) (859) 257-9322 .